On Saturday August 15 AJ Istria will face an unfamiliar challenge. The three-time champion has proven that on his day, he is in a league of his own. 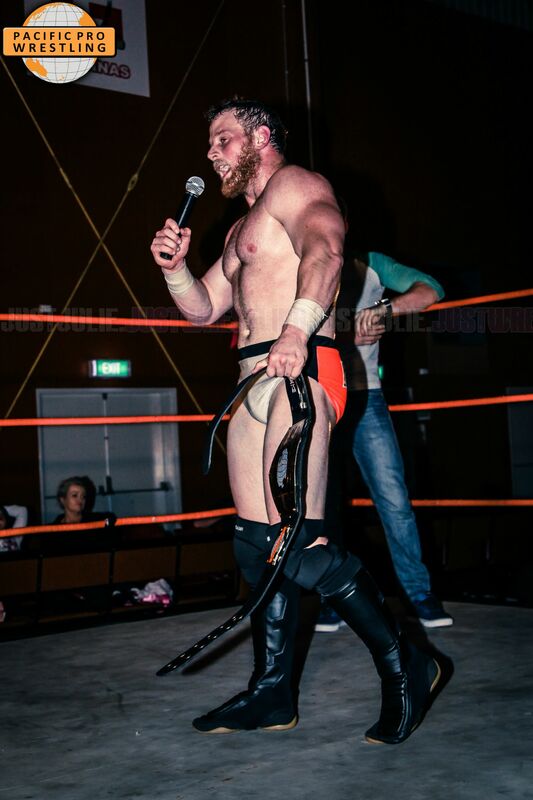 Istria lost against Ben Coles in his Pacific Pro debut back in February 2013 and since that loss has been undefeated between the orange ropes. In November 2013 after a dominant year Istria claimed the first of his Pacific Heavyweight titles when he avenged the loss to Coles at Bundamba. In February of 2014 the champion entered the first P-1 tournament at Richlands and scored three victories in the one night to become the first ever P-1 winner. Those matches saw Istria put feelings aside to down his close friend and training partner Johnny Lukas; outwit the veteran Ryan Eagles and outlast the high-flying Robbie Eagles. Istria then made history as the first champion to defend overseas when he wrestled Rionne Fujiwara at a Wrestling New Classic event in Tokyo’s legendary Korakuen Hall. This was the first time Istria lost the title. Istria studied the tape, trained in the Japanese style and become accustomed to the country, an adaptation that saw him draw square with Fujiwara in Shinjuku and return home as a two-time champion. Istria’s second reign was where the titleholder cemented his status as a champion. 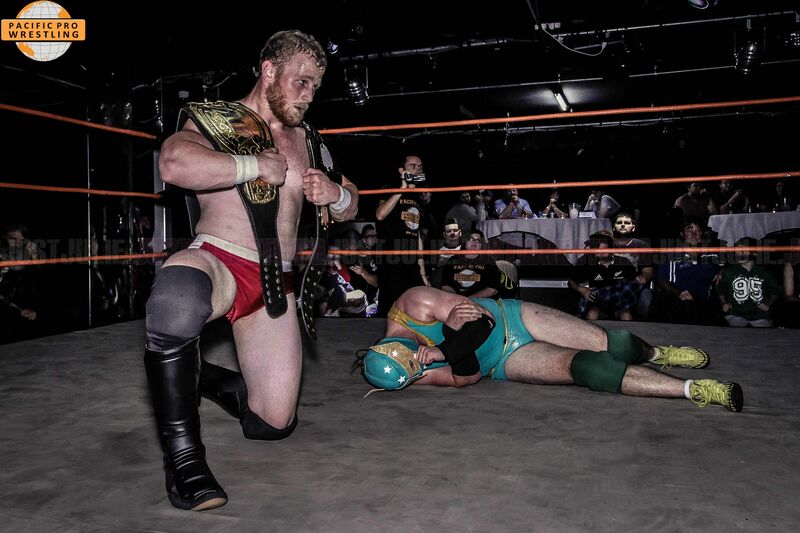 At a Grindhouse Wrestling event in Fortitude Valley the Pacific champion battled the Jag Hartley Jackson, AWA champion in a winner takes all battle for the right to be called the Double Crown champion. Istria defeated his mentor and continued on a dream run for the rest of 2014. After a win at Acacia Ridge against Australian Wolf - a man that played a big part in his early training - Istria defeated former 5 time NWA World Heavyweight Champion Adam Pearce at an AWA event in Bray Park. 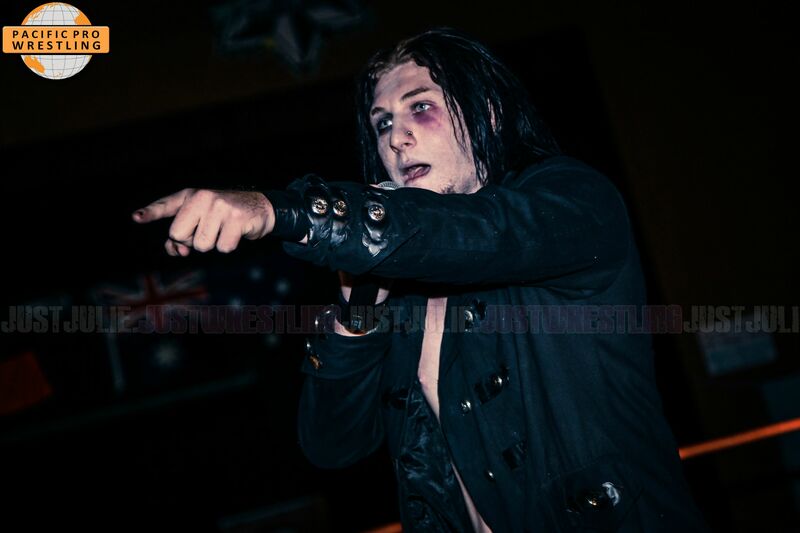 In AWA Istria accumulated victories over Jesse Daniels, Robby Heart, Wreckin Ball Wilson and Rufio. Come November Istria had two more dates to fulfill before taking a well-earnt break in the off-season. Pacific Pro’s Showdown at Acacia Ridge and a week later, Grindhouse’s season finale at Fortitude Valley. Istria notched up another win over Hartley Jackson at Showdown. His final challenge would be his undoing though as he couldn’t pick up the win at Grindhouse in a three-way involving Jackson and Jonah Rock. Rock was victorious. Istria’s night would get even worse as following the loss Rufio made some very public accusations about Istria’s private life. It was alleged the Istria had relations with Rufio’s sister, something he vehemently denied. The allegations on his mind, Istria began training to regain his place on top of the mountain. At the second P-1 tournament in Acacia Ridge Istria again went three from three defeating an in form Tim Kade, a desperate Johnny Lukas and a dominating Hartley Jackson in the final. Due to the nature of the regulations written up in 2013 the P-1 winner was granted a shot at only the Pacific Heavyweight title. Istria vowed to defeat Jonah Rock and regain the gold. Following this his training partner and friend Johnny Lukas entered the ring to congratulate Istria. Or so it seemed. Lukas blindsided Istria and left him lying in a heap. Another emotional blow to the ultimate athelete. With contention to the AWA Heavyweight title wide open Istria competed in a four-way elimination match against Rufio and the tag team champions Koi Bombora and Australian Wolf. In a moment that shocked everyone Istria was the first to go when Rufio capitalised on an opportunity. Rufio picked up the victory and became the next challenger for Rock. A sign that perhaps Istria’s private troubles could be affecting his performance. As has been the case twice previously (Coles, Fujiwara), once defeated by an opponent Istria has come back to gain victory in the rematch - Istria defeated Jonah Rock at Bundamba to regain the title for an unprecedented third time. Following that match up celebrations were cut short when Thirteen stormed the ring. The tormented up-and-comer seeing the adulation Istria experienced from the fans upon winning the gold wanted that for himself and issued a challenge for August. A challenge Istria accepted. Thirteen is unlike any challenger Istria has faced to date. Thirteen adorns himself with black and white paint, a tactic used to intimidate opponents. He is wildly unpredictable, alternating between traditional pro wrestling and wild-eyed brawling. The current reigning QCW North Queensland champion has a good record in Pacific Pro. He was victorious on debut against Ricky Rembrandt and claimed a win over Rufio recently - something Istria has failed in. Thirteen’s unpredictability has been a key to victory as opponents struggle to implement a strategy properly. Can the ultimate athlete and history-making champion overcome his emotional torment and retain, or will the man who thrives on the same torment and instability hold the key to victory? Find out on August 15 at Acacia Ridge when these two square off in the main attraction of WRESTLING CARNIVAL.